Kays Flower School is very easy to access from all parts of Ireland. Below is the junctions off the M50 that will both lead you easily to the Flower School. M50 JUNCTION 9 RED COW: This is the N7/Naas Rd exit which links Dublin & Kildare with Limerick. The M9/Kilkenny Rd and the M7 Limerick/ Portlaoise and the M8 Cork all join up to the N7/ Naas Road into Dublin City. M50 JUNCTION 7 LUCAN: This is the exit for the N4 Lucan Rd & the Liffey Valley Shopping Centre. The N4 is the main road from the west, it links Sligo to Dublin and also Galway via the N6 . It takes you via the Palmerston Bypass and the Chapelizod Bypass to Heuston station. If you are traveling from Northern Ireland you will join the M50 at Junction 3 from the M1 ( Junction 1-2) and you are taking the M50 South to any of the above junctions above, so dont worry if you miss the first one. If you are traveling by train we are on the RED Luas line which can be picked up from both Heuston or Connolly Stations. If you are flying into Dublin Airport, you can access the Airport bus to either Heuston or Connolly Station and then come on the RED Luas. Scroll down to our location on Google Maps. The Red Line Luas can be picked up at The Point, Connolly Train Station or Hueston Station, The Red Cow or The Square Shopping Centre in Tallaght or Saggart. The 123 Bus Via Marino. Ballybough. O'Connell Street. St. James Hospital. Walkinstown. (Kilnamanagh Road) can be picked up near Clerys Shop in O Connell Street and it leaves you in Rialto near the back gate entrance to St James Hospital. Turn left at the gate and walk towards the bridge. The gate is approximately 3 minutes walk to the school. Parking there is free parking alongside the Bird Flanagan Pub that’s opposite the school or on Herberton Road. Please be careful not to block driveways. Parking along by the school and opposite the shops is Disc Parking and cost in total €5.50 per day, your meter will need to be topped up after 3 hours. There is ample off street freeparking around the area. Your can Download the Park & Tag App here for your phone, makes it easy to top up during the day. 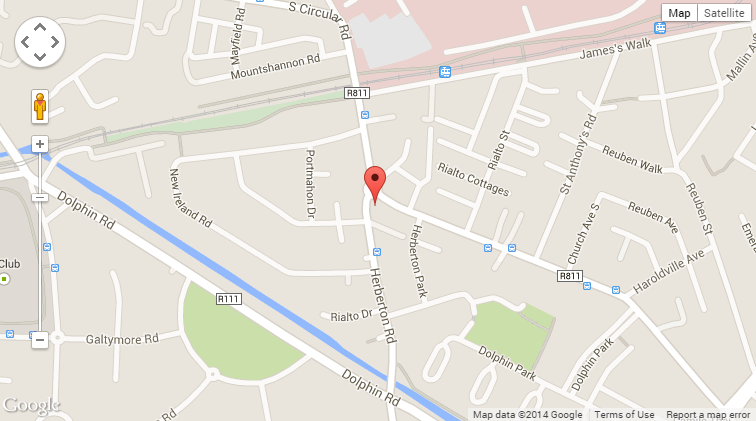 Ethan House, 531 South Circular Road, Dublin 8. Tel: 014537639 - 5 Mins walk from the flower school. Hilton Dublin Kilmainham Dublin 8, Ireland. Tel. 01 4201800 The Hilton Hotel is fifteen minutes walk from Kay's School of Floristry. 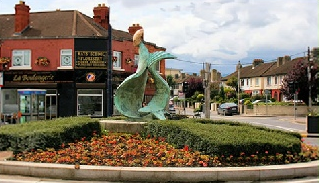 Sheldon Park Hotel Kylemore Road, Dublin 12 Tel: 01 4601055 - This Hotel is10 minutes on the Luas from Kays School, this hotel is popular among our students and also has a leisure centre. Maldron Hotel Smithfield This hotel is a 10 minute journey on the LUAS also 5 mins from Heuston train station Dublin Tel: (0)1 485 0900. Best Western Ashling Hotel Parkgate Street,Dublin 8 (beside Heuston Station). Tel. 01 677 2324 A 5-minute journey on the LUAS tram brings you to the city centre and lively Temple Bar. 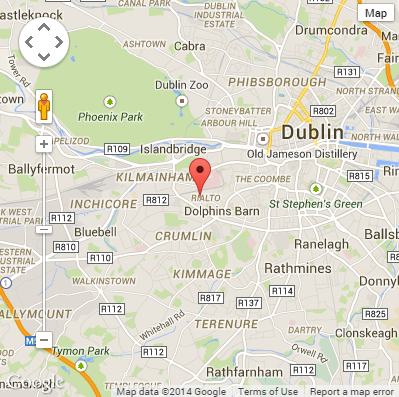 The hotel is near to the Guinness Storehouse, Dublin Zoo and the Phoenix Park. The LUAS tram passes right by the door and the Airlink bus operates directly from Dublin Airport to Heuston Station. Guinness Storehouse.